About H. O. Trerice Company: Established in 1923, TRERICE has produced a "Complete Line" of the highest quality controls and instrumentation for the various industries it serves. Trerice's track record of engineering and manufacturing excellence has provided us with an internationally recognized reputation for performance in service and product. H.O. 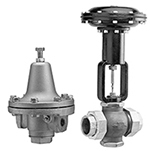 Trerice provides a full spectrum of the finest quality temperature and pressure instrumentation and controls demanded by industries the world over. Trerice products are considered the standard for quality and dependability. 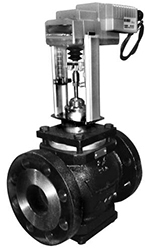 Product includes pressure gauges, temperature instrumentation, and regulators and control valves. Temperature. Pressure. Control. What Trerice Does Best. 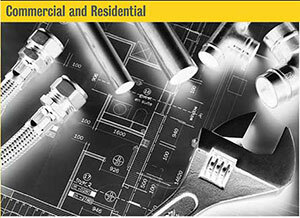 Trerice products are ideally suited for the commercial and residential plumbing markets. 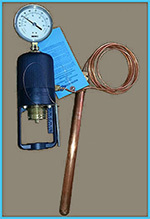 Trerice Tridicators measure both temperature and pressure in hot water boilers. Gas and Water Test Gauges are important tools for passing building inspections. 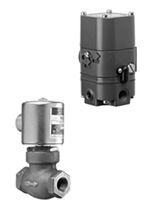 Low Pressure Gauges accurately measure pressures of 10 psi or less in applications such as natural gas. 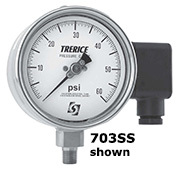 Trerice 800B Utility Gauges and Hydro-Therms are essential to plumbing contractors, providing excellent pressure and temperature measurement at an economical cost.